Pest invasions are a pain. That’s why Green Pest Solutions is here! Our locally owned company has been providing homes and businesses in the Southampton area with safe, eco-friendly, customized extermination options and excellent customer services. Frank is great, very considerate and conscientious about what needs to be done to keep your home protected. Frank Flores was professional and personable! Service providers are friendly, willing to answer questions and help with advice. 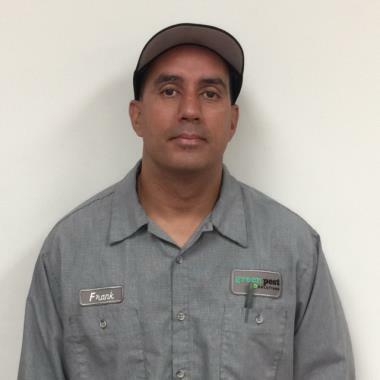 Green Pest and Frank have provided us with great service. We appreciate that Frank took the time to talk with us about our concerns and determine the best course of action for us at this time. I have always been pleased with Green Pest. Today your quarterly pest service was completed with a full baseboard treatment on the inside of your home I then treated the outside as well, and removed visible cobwebs from around windows and doors of the house. Today I performed your quarterly pest control service with a liquid treatment outside as well as applying insecticide granules around perimeter soil. The inside I treated in laundry room area and changed out 2 glue board monitors in crawlspace entrance.